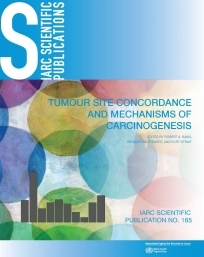 This Scientific Publication reviews the information on cancer sites and mechanistic events for the more than 100 agents classified in Group 1 (carcinogenic to humans) by the IARC Monographs Programme. This category of agents is diverse and includes chemicals and chemical mixtures; occupations; metals, dusts, and fibres; radiation; viruses and other biological agents; personal habits; and pharmaceuticals. For the Group 1 agents, there were cross-cutting questions about the relevance to humans of certain cancer sites or mechanistic pathways in animals. This publication is based on a systematic identification and comparison of the cancer sites observed in humans and those observed in experimental animals, and a compilation of mechanistic events for agents known to cause cancer in humans. Relevant information was analysed on all the agents classified in Group 1 in Monographs up to and including Volume 109, most of which are reviewed in Volume 100A–F. A database of tumour sites seen in humans and animals was used to examine the degree of concordance by use of an anatomically based tumour classification scheme. The analysis of mechanistic aspects of the IARC Group 1 agents focused on 10 key characteristics of human carcinogens developed during the course of this work. Genotoxicity was the most prevalent mechanistic characteristic, consistent with the process of carcinogenesis necessarily involving genomic changes. The IARC concordance database represents a useful source of information for comparing animal and human data with respect to the tumours caused in different species. The results of the mechanistic analysis can provide a basis for future efforts to categorize mechanistic data for carcinogens through a systematic review process. These reviews and analyses were discussed during a two-part Workshop on Tumour Site Concordance and Mechanisms of Carcinogenesis convened by IARC. This Scientific Publication is the report of that Workshop and of subsequent work by the participants, both individually and collectively. This publication also presents a statement of consensus among the Workshop participants, which summarizes the main findings and their implications for human cancer risk assessment.